Click on the image for the full size. 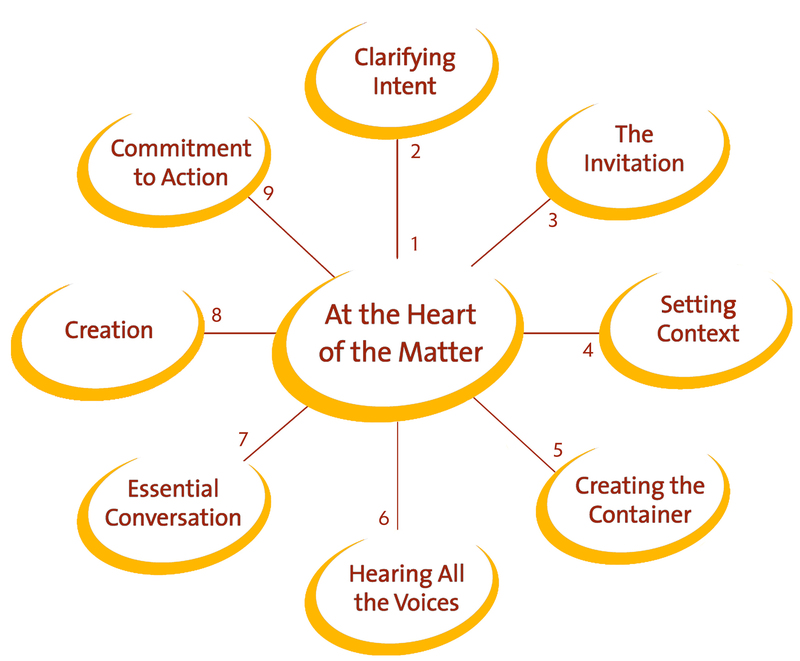 The Convening Wheel illustrating the 9 Aspects of convening, is at the heart of The Art of Convening book. I am looking forward to reading your book. I am studying Theory U at the time and it fits so good together. Charmer is coming to Denmark in november so it will bee so nice to go deeper with that work. It feels so natural combined with my work as an integrative coach at Ford Institute, my education by Marshall Rosenberg Center for Nonviolent Communication and meditation courses by Deepak Chopra.